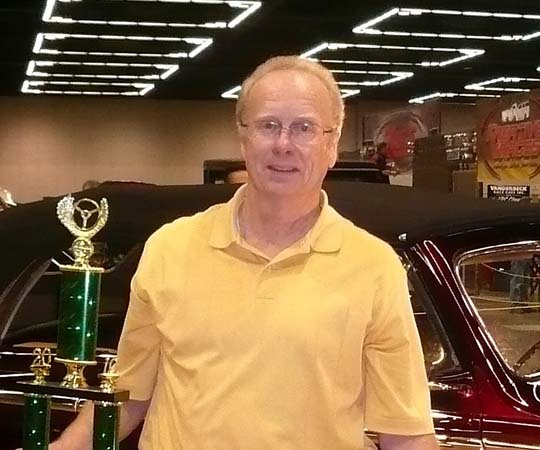 I have known Steve Frisbie for over 35 years and have seen many of the incredible cars that come out of S.A.R.. These cars are well above the standard that come out of an ordinary shop. There is a personal feeling and touch that goes into every car that helps to make it unique. If you want a 100% stock car, a classic, a muscle car or a rod this is the place to be. The lost art of lead work is one of Steve’s specialties and the craftsmanship of the shop is evident by the caliber of national award winning cars they build. Steve has built two cars for me and all along the concept, build and completion process, the shop asked for my input and any recommendations so there would be no surprises in the end. They are professionals at every detail and do their research to insure they are several steps ahead of the competition. Well, there were surprises! I was in total disbelief on what remarkable end products they had created for me, my family and the public to enjoy. The first car Steve built for me was an all stock 1931 Model A. My goal was to have a nice paint job I could wax. Not only did I get that, it was given a judged 100 points for paint at the Forest Grove Concours D’elegance and a winner several times. My second car is a 1947 Ford Convertible. It came out far beyond my wildest expectations, from the many subtle modifications to the indescribable paint! I gave Steve my general ideas for the car then stepped out of his way. It was like giving Thomas Kincade a canvas and letting him create a masterpiece. My car has taken many awards and was shown in Rod & Custom magazine. When asked who built my cars I stand tall and say, “Steve’s Auto Restorations”. No dreams are beyond reach at S.A.R. Steve and his crew are truly an icon of car builds! Thank you for letting me be part of history.